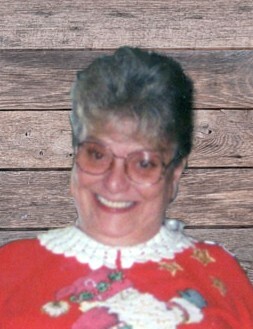 Mary Jean Bullard, 72, of North Vernon passed away on Monday, November 26, 2018 at her residence. Born, September 24, 1946, in North Vernon the daughter of Orval Lee and Lula (Hartwell) Gilpin. Ms. Bullard was a 1964 graduate of North Vernon High School and worked as bartender for V.F.W. and Eagles Clubs in North Vernon, she had formerly worked for ITT Thompson in North Vernon and Randal in Greensburg. She was a member of Smiling Senior Center, First Baptist Church, life member of V.F.W. Ladies Auxiliary and Am Vets Ladies Auxiliary, she was also a member of the Ladies Auxiliary for the Eagles, and Moose Lodge, both in North Vernon and the American Legion Ladies Auxiliary in Madison. Ms. Bullard enjoyed gardening, cooking and flowers. Survivors include sons, Joseph (Nicole) Bullard of North Vernon, Anthony (Amy) Petro of Indianapolis, and Jeff (Susan) Petro of Dupont; daughter, Jeanne (Vince) Nemeth of Linton, Indiana; brothers, Ray (Marie) Gilpin and Eddie (Beverly) Gilpin of North Vernon; sister, Dorothy Mails of Seymour; six grandchildren, Macy Bullard, Mack Bullard, both of North Vernon, Katherine McKinney of Franklin, Renly Nemeth of Linton, Amanda Petro of Indianapolis, and Anthony Hall of Greenwood; and five great-grandchildren. She was preceded in death by her parents; her husband, Joseph Bullard; brothers, Earl and James Gilpin; sister, Alice Everhart. A funeral service will be conducted at 10:00 a.m. on Friday, November 30, 2018, at the Dove-Sharp & Rudicel Funeral Home and Cremation Service with the Rev. Drew Dukes officiating. Family and Friends may call at the funeral home on Thursday, November 29, 2018, from 4:00 p.m. until 8:00 p.m. and one hour prior to the service on Friday. Burial will be in the Vernon Cemetery. Memorials may be made through the funeral home to the ALS Foundation Indiana Chapter.